I refuse to believe ANY CGI was used. 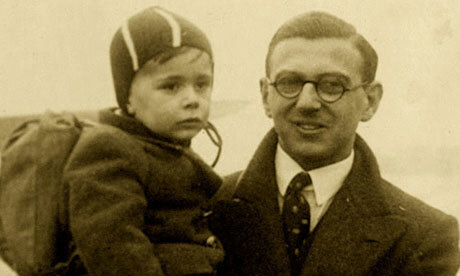 Just prior to WWII breaking out Nicholas Winton single-handedly saved 669 Czech Jewish children from their doomed fates at the hands of the invading Nazis. Many of the parents of these children ended up being killed at concentration camps. He was knighted in 2002 for his efforts. Just before Christmas 1938 Winton was about to travel to Switzerland for a skiing holiday, when he decided instead to travel to Prague, Czechoslovakia, to help his friend Martin Blake, who was involved in Jewish refugee work, and had called him asking for his help. There he single-handedly established an organization to aid children from Jewish families at risk from the Nazis. He set up an office at a dining room table in his hotel in Wenceslas Square. In November 1938, shortly afterKristallnacht, the House of Commons had approved a measure that would permit the entry of refugees younger than 17 years old into Britain, if they had a place to stay and a warranty of £50 was deposited for a ticket for their eventual return to their country of origin. This is awesome, things like this really make me want to smack people less, especially in Canada.